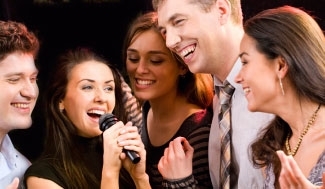 Find lots of juicy how to sing links for singers and general self expressers here. Links are those personally used and recommended by Soundworkz – descriptions included! www.singingsuccess.com The site of Brett Manning, voice coach extraordinaire. A genius in the world of vocal pedagogy who has taken the fundamentals of bel canto technique and built them into an accessible, modern method for vocal mastery. A comprehensive site packed with practical tips for singers including marvellous videos of actual lessons and consults working on specific aspects of vocal technique. Highly recommended – I love this site! www.vocalprocess.co.uk Just met these guys at the 2011 NEWZATS Conference – brilliant! Detailed and pertinent pedagogical work from Gillyanne Keyes and marvellous song interpretation work from Jeremy Fisher with a sparkle in his eye! www.nats.org National Association Teachers of Singing. Good entry point into the world of singing. Keep up to date with international trends, conferences and symposiums. www.newzats.org.nz New Zealand Association of Teachers of Singing. Support the local site providing standards in the teaching of how to sing. Through conferences, workshops, masterclasses and a vetting service for teacher registration NEWZATs fosters consistent vocal teaching and continuing education for singers and teachers alike. Trinity College London Music examinations board. I find their syllabus a little more flexible and performance oriented so I teach this method. www.bluetreepublishing.com Amazingly cool resource for accurate and informative vocal (and other) physiology. 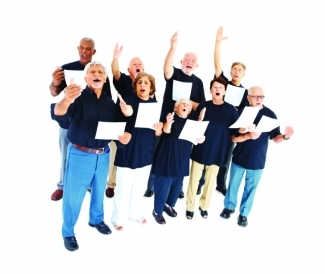 If you’re learning how to sing it helps to have a great working knowledge of the vocal physiology. Buy posters, software, models and even key chains (next the larynx fluffy dice!?). I bought the larynx rubber injected model, software and vocal care poster – all excellent products and great customer service. www.aria-database.com If you’re looking for near literal translations of aria text this is a good place to start. Good simple layout. www.recmusic.org/lieder/ I just found this site and I am in love. Really good literal translations of a huge raft of the good stuff. No excuse now not to know exactly what you’re singing about (if there ever was!). If you use this site please donate as Emily does this for love – aren’t people awesome! www.ipasource.com Another one you can’t live without. Fantastic resource for international phonetic reference and good word by word translations. You have to pay, but only for what you need. www.ameritz.co.uk Reasonably accurate ‘faithful to original’ backing tracks at incredibly competitive prices. Up to the minute items (lots of Adele right now!) and a huge selection. Also a good site search tool. www.mp3accompanist.com This one is a blinder! Well recorded classical piano accompaniments at realistic tempi and multiple keys. My voice teaching life just got so much easier! www.youraccompanist.com Another great resource for sourcing quality backing tracks. Great resources for singers on this site too! www.musicteachers.co.uk A bit like a visit to the dentist in terms of site design – but if you’re prepared to browse around some very useful stuff! www.tomkenyon.com A modern day shaman and ‘pied piper’ for the healing art of music. Tom is something special. One of the most inspiring figures I have worked with. A genuine and gifted healer, musician, teacher and guide. My top pick for sound healers spreading the word today. www.healingsounds.com Site of Johnathon Goldman one of the tireless campaigners and pioneers of sound healing. Johnathon amazes me with his infectious enthusiasm for all things sound healing. A very experienced researcher and advocate long before it became popular in the West. Author of, ‘The 7 Secrets of Sound Healing’ one of the best books I’ve ever read on sound healing for simplicity and clarity. www.frankperry.co.uk Site of Frank Perry – master musician and sound healer. An expert in Tibetan Bowls – who got into them long before the rest of the West. Has a beautiful name for each bowl in his mind-blowing collection! www.jillpurce.com Another great sound healing pioneer who re-discovered harmonic toning for the West. Fascinating esoteric insights into the nature of sound and how it creates and informs our world. www.donconreaux.com The modern day Gandalf of gonging. An inspiring figure who has dedicated himself to spreading the healing power of the great gong. Check out the ever-growing gong community on Facebook. www.collegeofsoundhealing.co.uk The College of Sound Healing in the UK is one of the most established and progressive institutions where you can thoroughly and formally study for a qualification in sound healing. Taught by a stable of the foremost sound healers practicing today. www.gandharvaloka.co.nz The local kiwi site for world music instruments. An aladdins cave of every instrument exotic and magical! www.knockonwood.co.uk Good selection of unusual instruments and unique sound healing items. www.larkinthemorning.com Find instruments here you won’t find anywhere else. A cornucopia of unique instruments and out of this world sounds. Try and build up the items you want as international postage is very expensive on this site. www.soundtravels.co.uk Another Johathon, and another lovely man. Great selection of items and good prices if you keep an eye out (and watch the exchange rate if applicable!). www.sheetmusicplus.com The ‘mighty’ site. Find pretty much anything you want here. Fast efficient processing and quick delivery. Constant specials and informative email updates. Highly recommended. www.onlinesheetmusic.com If you really want that music now this is the site for you. Download pretty much any music you need direct from the site. You just need to download a small free application called Solero to view the music. You can transpose the music and play live on the laptop! How did we ever manage before this!? Legend. www.pianotraders.co.nz The local site for sourcing sheet music. Nice to deal with and quick delivery. Not as cheap usually as sheetmusicplus but great for locally published music. www.artsongcentral.com A treasure chest of out of copyright classical works from the great masters. I love browsing the index and checking out new pieces. An unbelievable free resource. Also includes downloadable full phonetics with translations (pdf format), recorded versions and in many cases, multiple key versions – ole! Another one that I don’t know how we ever lived without! www.musicroom.com The big UK site for sheet music. Used this one recently to locate content by UK composers I couldn’t source via sheetmusicplus. Like the vocal resources section – a good distillation of relevant vocal methods and resources. www.freesheetmusic.net Great for piano music. A little less user friendly for vocal I find. However, still a large valuable resource worth checking out. www.a-capella.com My favourite choral music site. Not such a fancy design but an endless supply of intruiging original scores. www.alfred.com One of ‘the’ sites for choral music. Big collection. Happy browsing! www.choralnet.org A behemoth of a site. A little laborious to use but worth the effort. Huge holdings and many intruiging alleys to explore! www.music44.com If I can’t find it on sheetmusicplus I might look here. Site less user friendly. Large choral holdings. www.vocalunion.org.uk Just discovered this one. Great accessible resource particularly for the school or community choir director. www.nzcf.org.net The Choral Federation New Zealand – a good site, upgraded recently. Annual conference coming up in July 2012 – should be fun and informative – check it out! www.choralnet.org The American choral organisation site. So big it scares me – leave yourself a virtual string so you can find your way back out! www.thebigsing.wordpress.com The Big Sing is the New Zealand national secondary school’s annual choral competition. Creates a worthwhile objective and structure for the first half year (competition in July). Also inspiring stuff if you make it to the national final or at least get to hear the top choirs perform. www.sounz.org.nz The site for New Zealand composers – SOUNZ. Browse and enjoy new CDs and compositions by noted and up and coming New Zealanders. Beautiful editions for purchase at reasonable prices.